Jeep's reputation was built around off-road-ready utility vehicles, not high-powered track-ready 4x4s, but that apparently hasn't stopped the brand from getting a bit out of its comfort zone. Topping its last performance SUV, the 475-horsepower Grand Cherokee SRT, there's now a 707-horsepower, Hellcat-powered, Grand Cherokee Trackhawk that comes ready to upset sports car drivers at red lights everywhere. With its eight-speed automatic transmission, the Trackhawk runs from 0 to 60 miles per hour in 3.5 seconds, maxes out at 180 MPH, and can do the quarter-mile in 11.6 seconds. This is a Jeep for damn sakes. Oh, and it can also tow up to 7,200 pounds. Unlike the Dodge Challenger and Charger Hellcats, the Trackhawk gets its power sent to all four wheels. Its all-wheel-drive system's power bias changes depending on the drive mode selected—40/60 front/rear is for normal driving, 30/70 for sportier driving, and 50/50 in the winter drive mode. 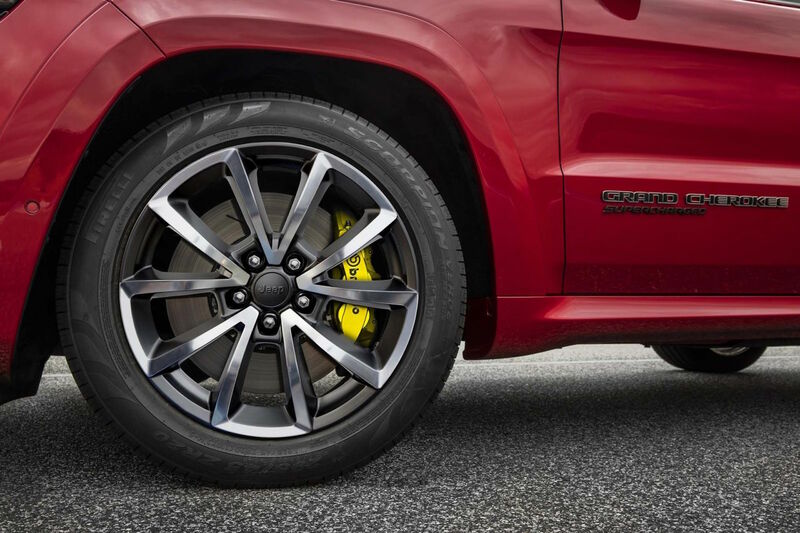 The Trackhawk sits on 295 tires on each corner and has huge 15.75-inch Brembos on the front and 13.73-inch in the rear. Those things help the performance SUV stop in 114 feet. 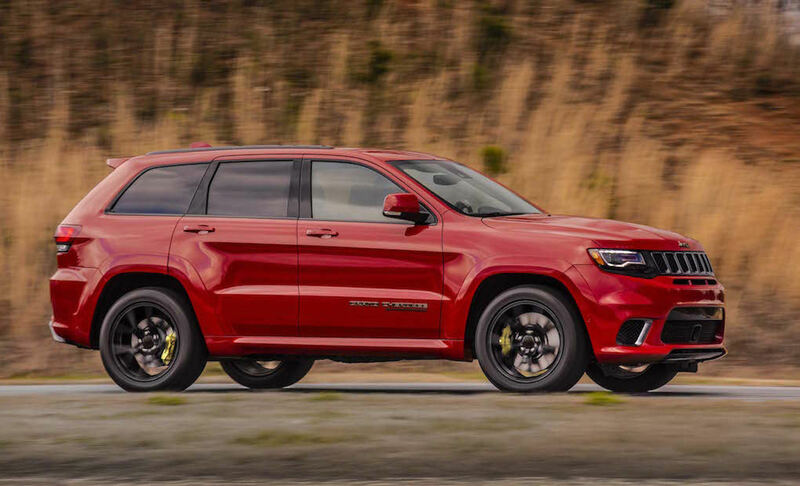 Pricing for the Trackhawk has not yet been released, but with the Grand Cherokee SRT running about $65,000, we're expecting this thing to be priced somewhere around $80,000. We'll get more on the Trackhawk when we see it in the flesh at the New York International Auto Show next week.